Completed Survey Reports delivered next day! Computer scan of most EFI inboard/sterndrive engines, as well as, most Yamaha O/B and Mercury Verado. Full engine & transmission Oil Analysis. Marine Surveyors can see things that are not the way they should be. They have a critical eye that comes with the kind of hands-on experience this 40-year industry veteran has. 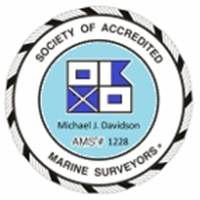 Michael is a member in good standing of the society of Accredited Marine Surveyors (SAMS) and the Marine Trades Association of New Jersey. He is a Master Technician of the American Boat & Yacht Council (ABYC); a graduate of Chapman’s School of Seamanship/Survey, a Certified Mercury Marine and MerCruiser Technician and a retired USCG licensed Captain. For additional information, or to schedule a survey, please use the form below. © Copyright 2019 ​Michael’s Marine Inspections, LLC. All rights reserved.